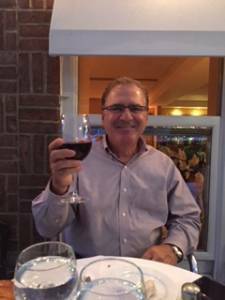 Tony D'Amico Celebrates 29 Years at GGG/AI! In honor of Tony D'Amico, we wish him a happy 29th anniversary from all of us at GGG/AI! Tony is the Senior Vice President at our Richmond, Virginia office. He is a great asset to our team as he provides extensive experience evaluating property insurance claims dating back to the late-1970s. Tony is a licensed Public Adjuster in 20 states and has worked on many monumental cases. Mr. D'Amico is actively involved in other AI projects such as co-authoring of two Adjusting Today articles titled, "Soft Cost or Delay in Opening: Insure for the Potential Exposure" and "Contingent Business Interruption Issues Continue Following Disasters in Japan" and appearing as an Expert Panelist on the Adjusters International's Property Insurance Roundtable podcast series, in the episode titled, "Expecting the Unexpected: Surviving Disasters."